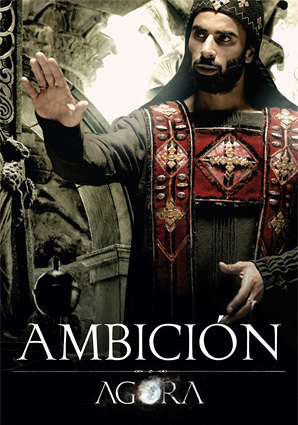 Beautiful Character Posters from Amenábar's Agora, Too! Also found on the official website for Alejandro Amenábar's Agora are these four beautifully conceived character posters. We featured the trailer yesterday, which gave you a small glimpse at the epic story and what to expect from the film. 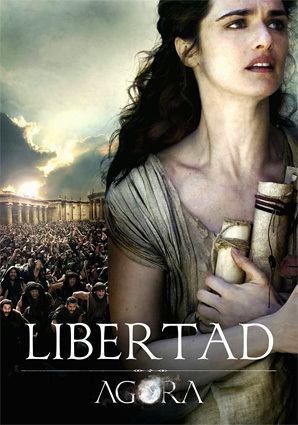 These four posters give you a better idea of the four main characters: Rachel Weisz as the philosopher Hypatia (Libertad meaning Freedom), Oscar Isaac as Orestes (Poder meaning Power), Max Minghella as Davus (Pasión meaning Passion), and Sami Samir as Cyril (Ambición meaning Ambition). I really hope at least a few of you out there are still interested in seeing this! Check these out. For more on Agora, head over to the official website agorathemovie.com or just watch the trailer as well. Agora is directed by Spanish-Chilean filmmaker Alejandro Amenábar, of Open Your Eyes, The Others, and the Oscar winning The Sea Inside previously. The screenplay was co-written by Amenábar and his writing partner Mateo Gil of Open Your Eyes, Vanilla Sky, and The Sea Inside previously. Amenábar wants audiences "to see, feel and smell a remote civilization as if it were as real as today," that civilization being the Egyptians of 4th Century AD. Agora is still looking for a US distributor and doesn't have a release date. I have to admit that there was a small part of me that thought this movie wouldn't get full distribution thank God I was wrong. We need more good acting. Definitely will be watching this. The world needs more sword & sandal flicks. As well as pirate and period flicks in general. Brilliant poster art. Very moody. pretty awesome except for the poor kerning (the adjustment of the space between characters of text, for those who didn't know)... oh well. So i which that they would say The Truth about History and about what Really Happens Muslims did Kill Children or Women or Burn Up the Alexandria Library when the Opened Alexandria in Egypt .... oh! its gonna be a mess when this Movie comes out we will c ! oh! 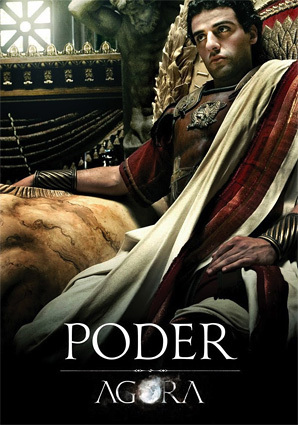 wanna Hint the Director is from Spain do u know how Ruled Spain like 600 or 700 Years ago wanna Hint it was Under the Under Control of the Muslims for Over 600 Years !! .... that Guy has problems Believe me ..